A lot of photos have been taken in the last few days. While I work on uploading those, I'll take this time to make a quick side note. 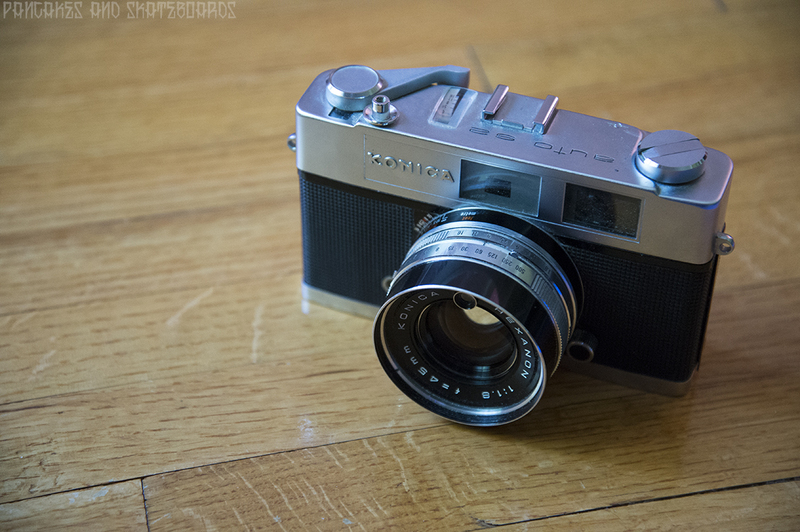 I was gifted this nice looking Konica Auto S2 35mm rangefinder the other day (thank you Oksana) and I can't wait to take it out with a new roll of film. It's not the first rangefinder I've ever used, but it will be the first one I can call my own! The shutter speed ring is stiff and needs some TLC or just plain use, but everything else seems to be in fine working order. This camera will not go to waste! For the collector nerds; I couldn't find anywhere on the web to help me figure out what year this one was made by serial # (I think approximately 1965), but I can tell you that this camera has a fixed 45mm, 1.8 lens with a shutter speed of up to 1/500 and a built in light meter. Rangefinder = great focus, have fun! You're welcome :) Can't wait to see the pictures it takes!